Vroom Vroom! 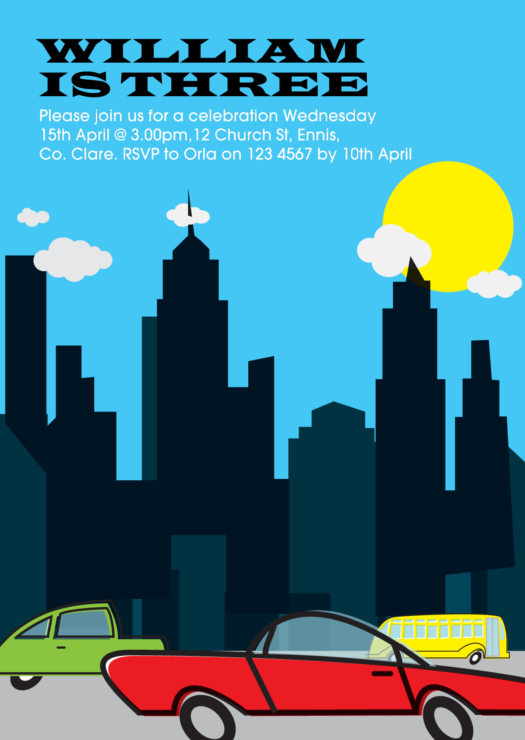 If your child likes cars and anything with wheels than this is the party invite for you. Personalise with your party details to make it your own.